Epigenetics, which attempts to explain how our genes respond to our environment, is the latest twist on the historic nature vs. nurture debate. In addressing this and other controversies in contemporary science, Gerald Weissmann taps what he calls “the social network of Western Civilization,” including the many neglected women of science: from the martyred Hypatia of Alexandria, the first woman scientist, to the Nobel laureates Marie Curie, Christiane Nüsslein-Volhard, and Elizabeth Blackburn, among other luminaries in the field. Always instructive and often hilarious, this is a one-volume introduction to modern biology, viewed through the lens of today’s mass media and the longer historical tradition of the Scientific Revolution. 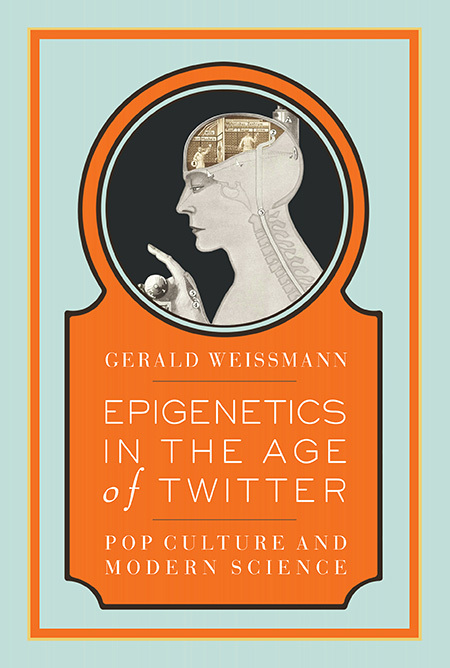 Whether engaging in the healthcare debate or imagining the future prose styling of the scientific research paper in the age of Twitter, Weissmann proves to be one of our most incisive cultural critics and satirists. The essays in this book deal with modern science and the popular arts. There are, of course, real differences between art and science: in science if another lab replicates your work, you call to congratulate them; in the arts your lawyer calls. Another difference is that no real work of science has ever made anyone laugh out loud. Arts and Sciences at one point did mean “Paintings and Stuff and Petri dishes and Stuff,” to quote Zadie Smith. (1) But in the age of Twitter, Facebook and Buzznet, arts and sciences follow YouTube’s charge to “Broadcast Yourself!” These days one click on Twitter separates Shawn Corey Carter (Jay-Z), a rapper who is CEO of Roc-A-Fella Records and who owns the NJ Nets, from Eric Kandel, our leading neuroscientist and who owns a Nobel Prize. (2) Walter Benjamin, the “popular wise guy”1 had it right: every reader has become a writer – or tweeter – in the age of electronic reproduction. My essays play off one or another discovery of today’s biological science (with epigenetics leading the pack) against one or another aspectof popular culture: film, television, sports, etc. (with Twitter et al leading the pack.) We’ll see what the molecular biology of aging has to do with Sarah Palin’s hair, why a Nobel prize for reproductive biology clashed with J-Lo’s notion of fertility, and why the name on Oklahoma State’s football stadium (T. Boone Pickens) scuppered basic research on anthrax. Twitter first. To learn what Twitter could do for me, I signed up a couple of years ago under the nom de silico “Franz Anton Mesmer,” (1734-1815) or [email protected] Sure enough, I soon had half a dozen “followers.” I told this to a psychiatrist friend of mine, who was astonished that anyone would follow the words of a dead hypnotist. I pointed out that this was the basis of organized religion, not to speak of Freudian analysis. Darwinian evolution – the origin of species – takes place over eons: epigenetics prints short-term bar codes on our cells so that they remember where they’ve been and where they should be going. If they get lost, we call it cancer, obesity or diabetes. Since epigenetic changes can be induced by diet, drugs and the environment, there’s a whiff of Lamarck about the whole notion. (3) Not to worry, though: until the genome crumbles, our skin will remain skin, our bones remain bone and apes won’t turn into humans tomorrow. One trend is sure, though: nurture is gaining on nature in the old debate. Epigenetic explanations have been extended to reach Woody Allen’s second favorite organ, the brain. 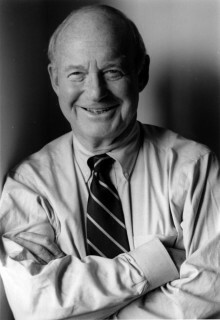 If the gonads (Allen’s favorite) are the organs of classical evolution, the brain is the organ of personal and cultural evolution. Neurobiologists now believe that our brains evolve through a series of choices made by individual neurons over time. These choices are made under epigenetic control and, as in classical evolution, are forged by selective pressure with adaptive advantage. (4) Growth, learning and remembering take place in the real social network: Imagine the very different selective pressures acting on the neural networks of young women growing up in Kabul or Minneapolis. My essays touch on the social network we call Western civilization: Antoine and Anne-Marie Lavoisier, Emerson and Margaret Fuller, Gustav and Alma Mahler; Bernard Shaw and H.G. Wells. Experimental science, I’m convinced, is a crowning achievement of that civilization, and the fact that women now function as equal partners in science is a welcome sign of its continuing vitality. Several of my chapters in this book deal with the many women of science – from the martyred Hypatia of Alexandria, the first woman scientist, to the Nobel laureates Marie Curie, Christine Nüsslein-Volhard, Elizabeth Blackburn and Carol Greider. The list speaks for itself.